See you on Sept 20th! 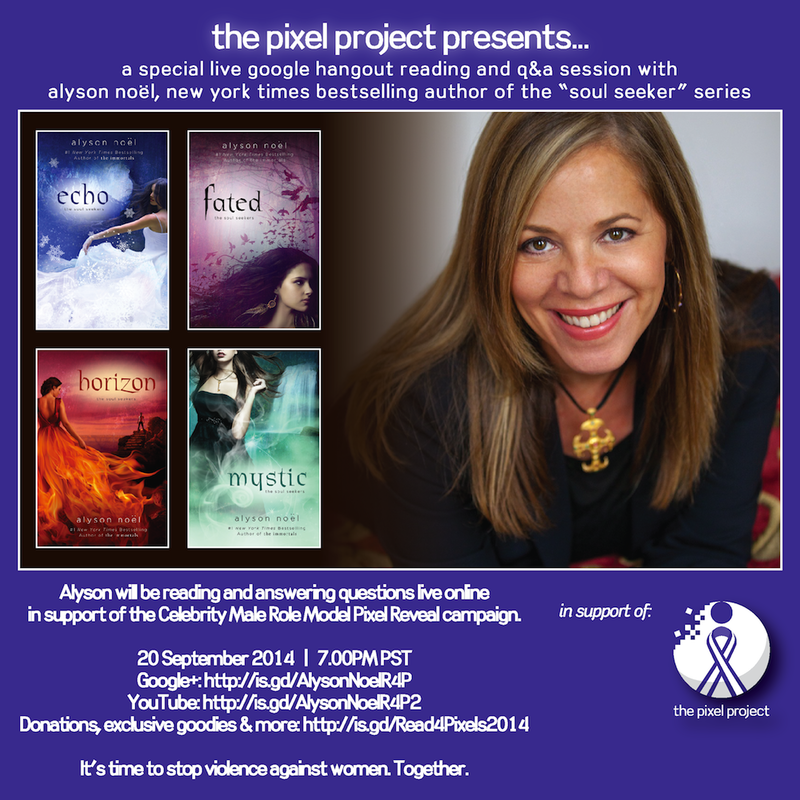 Just wanted to let you know that I'll be doing a Google Hangout for The Pixel Project's Celebrity Male Role Model Pixel Reveal Campaign on Sept 20, 2014 at 7:00pm PST. I'm so excited/honored to participate in this event to support the campaign to stop violence against women. I'll be doing a live reading, answering your questions, and giving away some cool stuff and I really hope you can join me! Head on over to the event page to learn more about it!